Riverside Heating & Air Conditioning LLC is proud to serve the Lexington community!  About Lexington, SC - Happy to be your hometown Heating & Air Conditioning Contractor! The city of Lexington belongs to the state of South Carolina and serves as the seat of Lexington County. The city covers an area of 8.8 square miles and 0.1 square miles of it is just water. And the town is home to a population of 17,870 people. The city offers visitors with a refreshing experience that is highlighted by trips to exciting sites that are just waiting to be explored. Lake Murray, which passes through the city is held by a dam that is 1.7 miles long and offers a place for people to walk, run or ride their bikes. During the summer months, there’s even a swimming area that’s open to the public. The Dreher Shoals dam Walk allows visitors to overlook the beauty of Lake Murray and even though some may complain about the inability to find a decent parking spot, the view is definitely worth the trouble. If you’re interested in learning about the local history of the city then make sure to visit the Lexington County Museum, which is located in the downtown area. It offers visitors with a rare insight into the daily routine that people would live during colonial era around the 19th century. The displays feature various historical artifacts, which are actually items of daily use that people owned in a specific time period. The area also features old buildings and historical sites that can be explored. The interactions with volunteers at the museum makes for an engaging experience that leaves you with much newly found information. The Virginia Hylton Park offers peaceful solace to those looking for some relaxation away from the bustle of the city’s other areas. With many picnic sites and tables, it offers families with the chance to get together and enjoy a memorable time while the many trees give them shade from the hot afternoon sun.